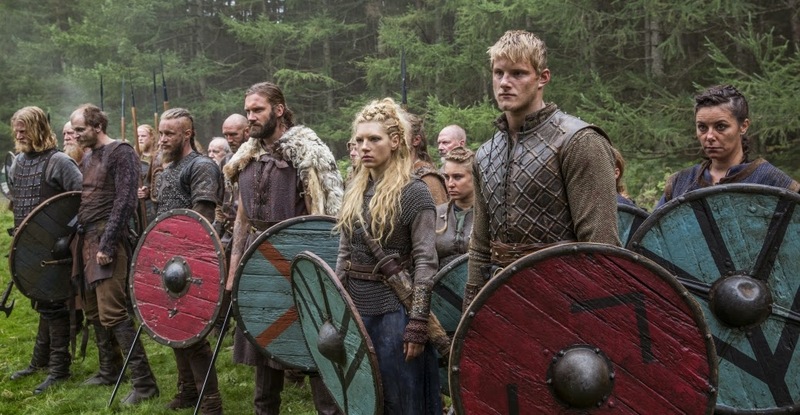 This Sunday episode 5 of Vikings season 2 arrived. We are a bit behind, I know. What I would like to tell you is that everyone worked so hard to give us a great season. I found it hard to admit that I know already what is going to happen although I haven’t seen it yet. I like it I can visualize it for myself first and then the surprise will be when the episode is finally there. The funny thing about that is that you can create your own opinion. I am happy to tell you I try not to spoil anything but fans who have already seen the episodes I will tell you this. I like the whole idea of Vikings and how they are in the old age. The point is based on facts and on creation everything is possible. When I tell you I like the way they choose to get each character explain its own story. In every fight we see how they choose to fight. From beginning until episode 5 I got surprised every time I watched. The switching between characters. How they believe to be. Their denial, their fears, their fight with inner self most remarkable explained. I actually love these things. Each and every character in its own way have their love, fight, struggle and obstacles. The thing is they have it both in mind and on the battlefield. I like the relationship between Bjorn and Floki that is extra ordinary and strange in a way. Floki has a kind of relationship with all of the sons of Ragnar. The sight from Ragnar and Aslaug is also great to see. In episode 5 we switch from the one to another and into the battlefield it is something quite extraordinary I love the way they did that. The anger Bjorn created in season 1 is still there in season 2 but different in many ways. I love the way we went from Nathan o’ Toole to Alexander Ludwig. Alexander did a great job the way he plays Bjorn you get to see where Bjorn now capable of. Support in battle. His kindness is one of the things I like about Bjorn. Speaking of Rollo from warrior to drunken nobody to hero? I like the character Rollo in many ways he tried too hard and got disappointed in himself. Most of the people don’t like Rollo in a way. I like Rollo’s character in many ways. He took many steps and he could kill himself and his brother multiple times but he didn’t. If anyone could identify with him you wouldn’t unlike him at all. Is that a weakness I don’t think so. Sometimes we do things in an blink of the eye and then we regret that our whole life, Rollo is one of them who does exactly the same.